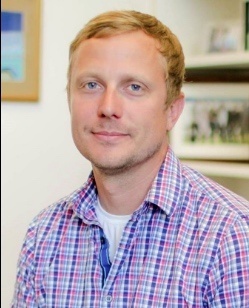 Western Washington University Associate Professor of Psychology Jeff Carroll has secured an $100,000 grant to assist in his continuing research into the causes and potential treatments for Huntington’s disease, a fatal genetic degenerative brain disorder. The new funding is from Ionis Pharmaceuticals, a Carlsbad-based biotechnology company with a longstanding interest in Huntington's disease. Ionis and their partner Roche Pharmaceuticals recently announced the successful completion of a Phase 1/2a study for an experimental Huntington's disease drug called IONIS-HTTRx. The drug works by reducing the levels of the protein created using instructions in the mutant Huntingtin gene, the sole cause of the disease. Many years of lab work, including Carroll's own, proves that reducing protein production using similar drugs has dramatic benefits in cell and animal models of HD. The Carroll lab has a long-standing interest in understanding the consequences of silencing, or lowering, production of the Huntingtin gene as a way of slowing the progress of the disease. The normal role of the HD gene is not well understood, and Carroll's lab has generated a number of lab tools and techniques to investigate this important question. The financial support from Ionis will allow the Carroll lab to conduct additional, long-term, experiments that could provide novel insights into the normal role of this mysterious gene, and on the relationship between Huntingtin lowering and symptoms associated with Huntington's disease. “We’re really excited about this support from Ionis, which will allow us to continue our investigations into the role of the HD gene in important ways. It also shows how committed Ionis are to the safe and careful development of Huntingtin-lowering therapies, and a great vote of confidence in our own work,” said Carroll.